Adelaide Food Central has been a regular guest of Chef Khalil and his restaurant Nonna and I, however this was my first time. Chef Khalil has an uncontainable passion and enthusiasm that spills onto the plate. I have to admit the little dining room, located just off The Parade at Norwood is not really to my taste. A mural of a Tuscan landscape has been painted over the walls and ceiling. Evidence of a previous fit out clearly visible on the lower half of the walls and the table set up is basic. This restaurant is all about the food, not a glamorous aesthetic. It’s about collecting friends and family together for a great feed. 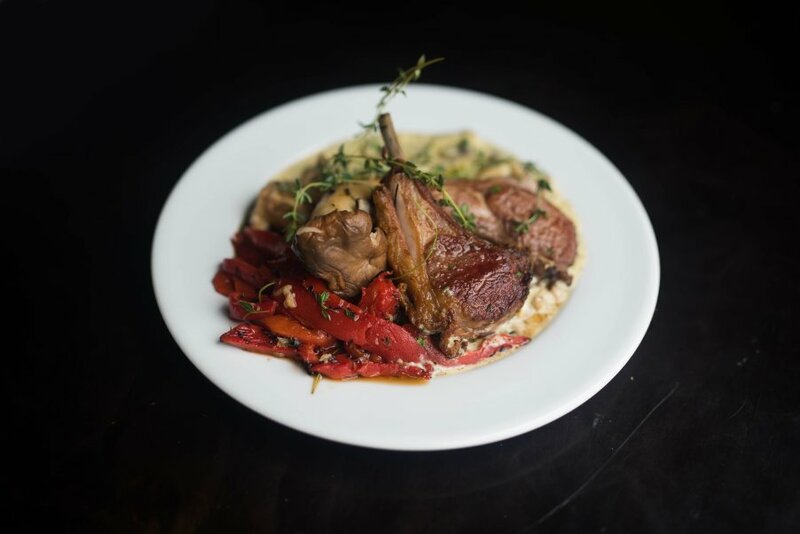 We started with a couple of lamb dishes that are not on the standard menu, lamb “lollypop” cutlets, cooked juicy and rare. The first served with a creamy sauce of mushrooms and thyme. Thyme worked its magic as it does with chunks of assorted mushrooms in a rich, flavour filled creamy sauce. Chef Khalil’s signature roasted red capsicum was a delightful accompaniment to the dish. 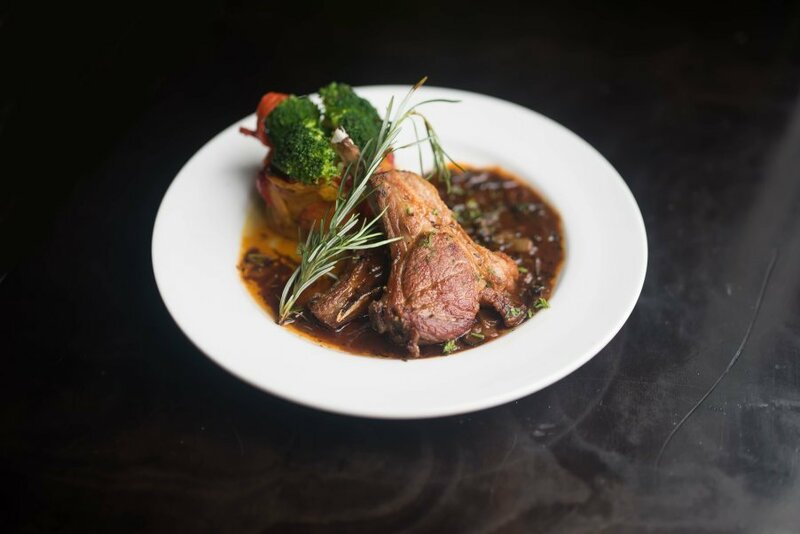 Changing to a totally different set of flavours the second lamb dish was served with a Marsala demi-glace sauce, loaded with rosemary that played beautifully with the lamb. A stack of roasted pumpkin, carrot and capsicum brought even more sweet, earthy flavours to the meal. The addition of steamed broccoli added freshness and cut through the sweetness. The pasta dishes are where I really started to love the Nonna and I food. We were treated to the Chef’s Specials, first a huge plate of capellini with Prawns and Scallops in a creamy lobster sauce. The bisque like sauce had a rich depth of crustacean shell which carried the sweet luxurious flavour of the lobster. 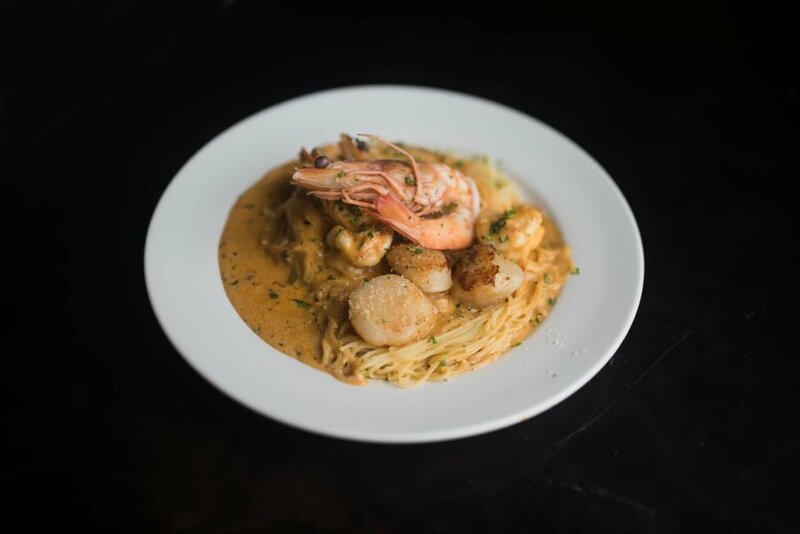 Perfectly cooked scallops and large prawns sit atop the mass of pasta that miraculously does not turn gluggy despite swimming in the creamy sauce. We agreed this dish is a triumph and cannot get enough. Our second Chefs Special was also capellini pasta, this time in a brandy cream. 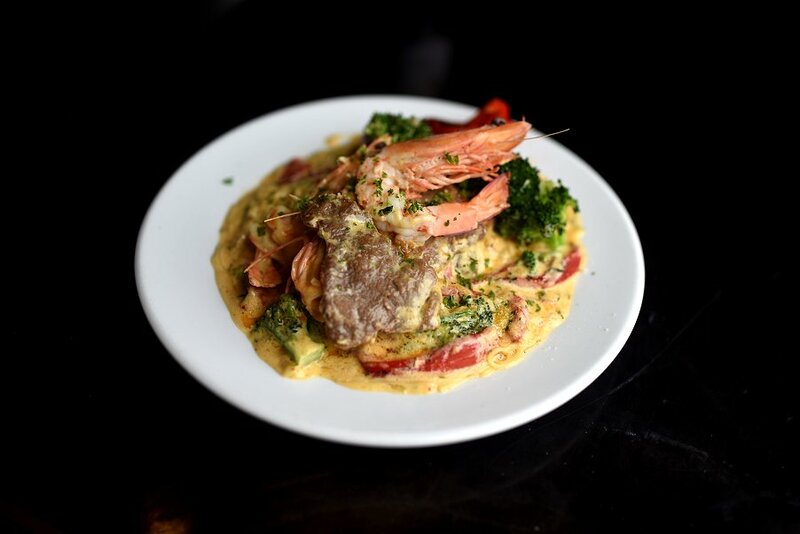 Again wild king Australian prawns were used; this time combined with melt in your mouth veal and the familiar roasted capsicum and steamed broccoli. It looks like a lot – and it is, but together it all works. The term ‘melt in your mouth’ can be a bit of a throwaway line but really this veal actually is. You really can eat it without chewing it at all. Even Nonna without her dentures would be able to indulge in this meat! 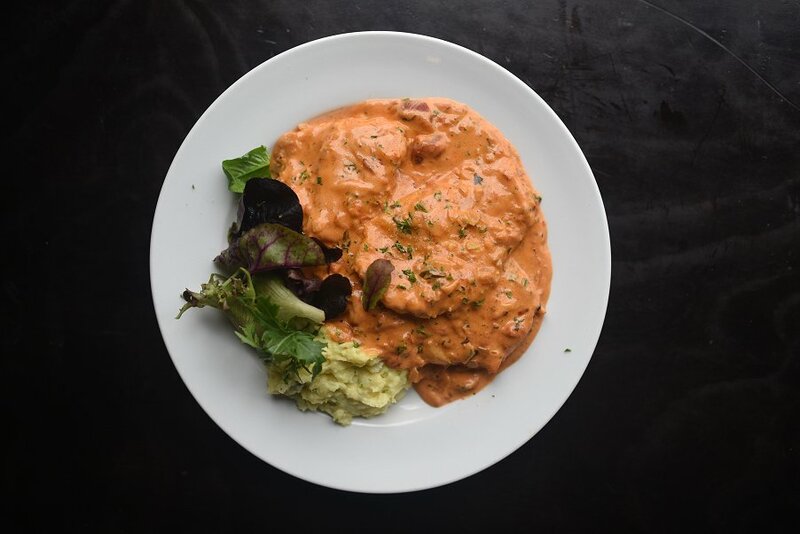 Finally, we tried one of the menu favourites – Chicken Rossano. Chicken pieces crusted in parmesan cheese in a rose sauce with a side of garlic mash. This is not your typical just-detectable hint of roasted garlic, garlic mash. This is creamy, smooth, vampire repelling garlic mash! Despite the garlic being very strong it doesn’t have a raw pungency that burns the mouth. I loved it – the person sitting next to me on the bus on the way home may not have! Nonna and I has a mantra – Come Hungry, Leave Happy. I left more than happy. Not only was I extremely full and satisfied but the combination of the food and hospitality left me wearing a smile that I just could not wipe away.